Phil and Louise are the parents of four adult children— Nathan, Jo, Maddie and Susie—and they are now learning the ￼￼￼￼￼￼￼￼￼￼￼￼￼￼￼￼￼￼￼￼￼￼￼￼￼￼￼￼￼￼￼art of grandparenting (even though they insist they’re much too young). Nathan’s popular blog www.st-eutychus.com inspired the title of this book. You can, in the absence of the book actually being released, check out some sample chapters and stuff on savingeutychus.com. The disclosure should make it obvious that I’m going to have a hard time being objective here – I’m also going to have a hard time coming at this book as though half the chapters are at all novel. This isn’t new to me. It’s bread and butter. It’s how I’ve been taught to preach from my first talk, to a youth group, when I was 16. In many senses it’s how I was taught to write. It’s also how I’ve been taught to preach at college. I think it’s a good model. It meshes with what I know about communication from my profession. One of the first things you notice about this book, appropriately, is the number of, and caliber of, the guys endorsing the book. I could tell you this will revolutionise your preaching – but really I have no idea what it looks like to not have some of these tips running through my head, so instead, I’ll focus on some of the bits that I really liked, and let you read it and make up your mind for yourselves when it comes out. Saving Eutychus doesn’t just mean keeping him awake. It also means doing our best to keep him fresh and alert so he can hear the truth of the gospel and be saved. If we have done our job, we will stand up on Sunday ready to deliver a sermon on a Bible passage that we have wrestled with and that the Holy Spirit has begun to apply to our own hearts and lives. Preaching is God’s work, and any authority the preacher wields comes from the text of the Bible. It’s a nice reminder that no matter how charismatic our personalities are, no matter how engaging and witty we can be as we speak – preaching is ultimately reveals God, points people to Jesus, and relies on the Spirit to be hammered home. Gary’s answer to this dilemma is prayer. One of the nice things about the book is how honest both authors are about their own struggles in preaching – and their own lives in pastoral ministry that is preaching driven. There are excerpts from real, recent, sermons, to support some of the practical tips, and plenty of rubber hitting road anecdotes to illustrate how each chapter might be applied. The chapters are relatively evenly split – Gary does the “theology” stuff, Dad does the practical, but the dichotomy isn’t carried out cleanly the whole way through – both are free to enter the other’s turf, so Dad is “theological” when it comes to how you think of the big idea, and Gary is practical when it comes to how you make real changes in the light of some theological insights. I’ve been part of bible studies at five churches now, and I’m thankful for the way each have taught me to read the Bible and apply it to my life, but this rings a bit true – normally it’s the newest Christians who are the most passionate prayers when it comes to the core business of spreading the gospel. But this is a great way of making sure the authority of a sermon is resting in the right place – God’s revealed word. One of my favourite bits of preaching advice from Gary is this, as a rookie preacher it has been really helpful for me thinking through what I think the “big idea” of a bit of the Bible is and how I might frame it appropriately. This approach ensures that your preaching will be both predictable and unpredictable. It will be predictable in the same way that the Bible is predictable. At the core of our preaching will be the same message—what God has already done for us in the Lord Jesus Christ. The book’s format is helpful – chapters contain nice chunks of supporting material, be it passages from the Bible, passages from sermons, anecdotes, or helpful theological and pastoral reflections, and they’re rounded out with nice practical tips, lists, and summaries to help you remember and apply. 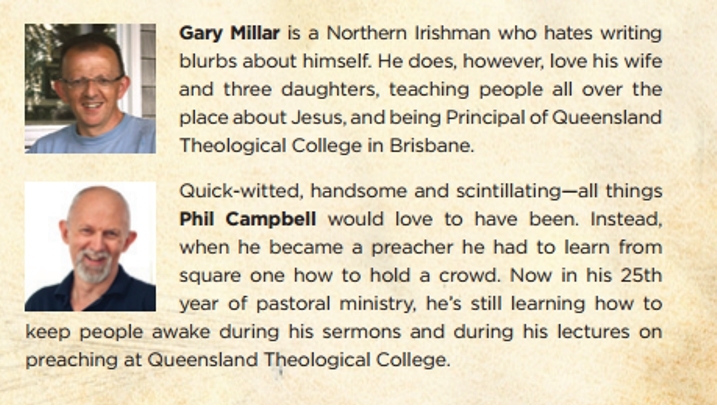 The conversational tone between Gary and Dad within the chapters (they share a pulpit at Mitchelton and have had a chance to see each other in action for the last year) means the switch between voices is natural rather than jarring, they play nicely off each other’s strengths and weaknesses. It’s interesting for me how many of Dad’s tips are very similar to how good corporate communication happens – it needs to be clear, as geared to your medium, as concise as possible, repeat your key messages, be based on some sort of authority (data in my case, the text when it comes to preaching), and for people to listen it needs to be about people. 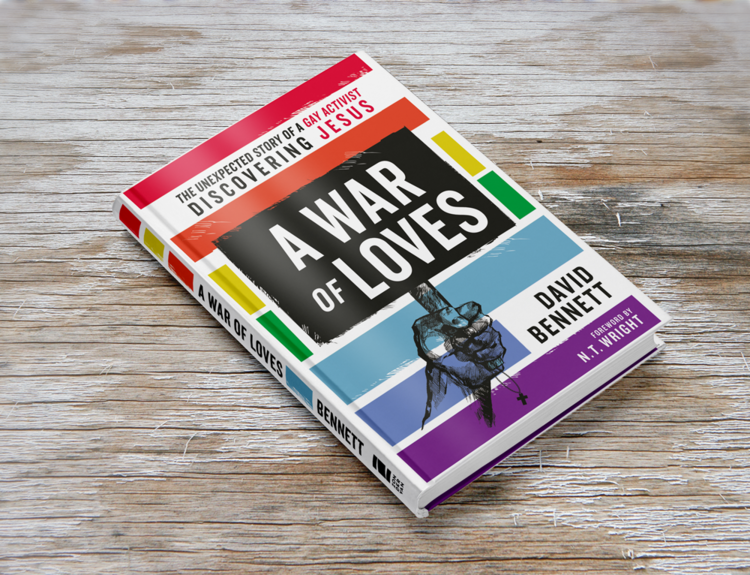 The book covers stuff like pulling a text apart, spoken delivery, receiving critique, putting a talk together – which includes something like a Director’s Cut/commentary version of the sermon manuscript from one of Dad’s recent sermons on Acts. And then, to finish off nicely, there’s a sample critique from Dad, and from Gary on a each other’s real sermons. I really liked this book, I obviously heartily endorse it, and you should buy at least three. As I was reading it I was pretty thankful – thankful that I’ve been shaped the way I have by a father who wants people to know the ultimate father, shaped to love the gospel of Jesus, and want people to hear it unhindered, and hopefully shaped to be self-aware of my myriad faults and my constant desire to make preaching all about me. This book is a useful reminder for me in that ongoing challenge. And it makes me thankful that in the last few years I’ve been taught at a college by guys of Gary’s caliber (and the caliber of the other members of faculty). I have much to be thankful for, especially the gospel, and the privilege of being a fellow worker in the ministry of the gospel, as a preacher with training wheels on. There’s that old saying about new generations standing on the shoulders and I’ve never felt that more tangibly than when I read a book that spells out so clearly what I’ve been blessed to assume as natural by guys I know. But as impressive as I think those guys are, and as thankful as I am for both of them, it’s the gospel that’s really impressive and powerful to change hearts, not them, not me – but the God who revealed himself in Jesus and his word, who changes us by his Spirit. I was at a concert last night at the Palais in St Kilda- Paul Kelly and Neil Finn. Both these guys are brilliant musicians and songwriters. We know how good they are. But it was interesting to compare their songs as they sang them. Finn’s songs were usually reflections on a feeling – or a situation. Kind of abstract. Kelly’s songs were driven by a narrative. With lots and lots of little detail. And it struck me as I looked around the sea of faces listening to the songs that people are transfixed by stories. Finn’s are fantastic songs. Four Seasons in one Day and Into Temptation are 2 of my all time favourites. But Kelly’s songs really *get* you in the guts. They are littered with details and experiences (usually everyday stuff) that immediately ground the songs in the lives of the hearers (details such as days of the week, months of the year, real names, places, song titles, makes of bikes, recipes for gravy, etc…) He uses an economy of words. And yet he transports you right into the heart of the story. And heaps of his stories are in the first person. The reason I’m saying all of this is to agree with your Dad’s comment about using stories of people in illustrations (and particularly application). Long stories. Not just little one or 2 liners. Stories that get people. And stories in the first person. Either from the personal experience of the preacher. Or parts of other people’s stories that are read out. But I can’t bring myself to “scour the newspaper, internet news sources and TV for fresh material”. I rely on my poor memory and things that I see, read or hear that week as I walk around the city I’m preaching in and watch and talk to the locals.